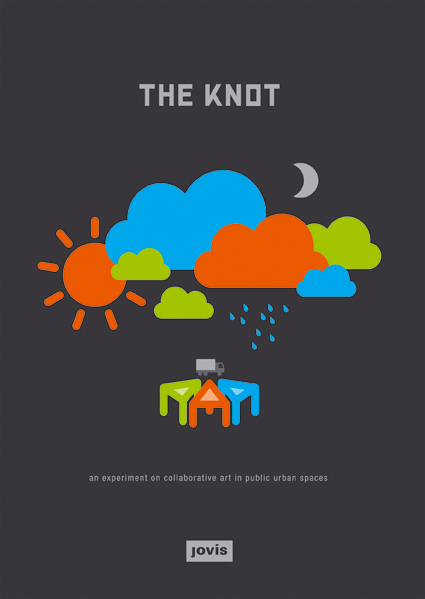 The KNOT book talks about a new art practice, experimental and collaborative, exercised in a nomadic project in urban public spaces in Berlin, Warsaw and Bucharest in 2010. It is conceived as a multi-authored travel log, a multi-faceted collage of pictures, artist drawings, short stories, impressions, a strong visual documentation. The format used is that of a calendar, following all artistic actions, reflexive moments, side events, as well as providing some glimpses into the contextual environment, day by day and city by city. In an introductory in-depth interview with Stephanie Peter, the masterminds of the experiment, the temporary curators collective, reflect on the projects development and realisation. 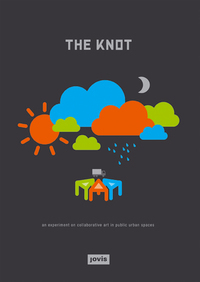 Alongside with the book comes a DVD with a documentary film and videos produced by artists during the KNOT enterprise.